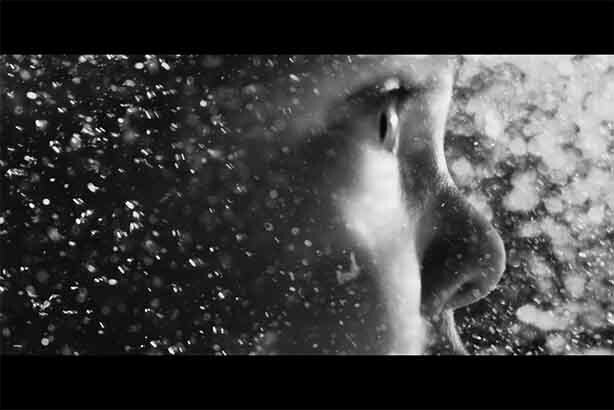 A powerful film depicting a new born baby fighting to survive in a swirling ocean and finally emerging into the light is the focus of a new awareness campaign launched today by Alzheimer's Research UK. Games of Thrones actress Lena Headey has done the voice-over for the film, part of the new Make Breakthroughs Possible campaign, in which she says: "We come into this world with a single instinct, survive. And it never leaves us, whatever the challenge." The actress, who plays Queen Regent Cersei Lannister in the HBO series, continues: "No one has survived Alzheimer's. But it’s a disease and that means it can be cured. We will find a way." The stylish black and white film is deliberately ambiguous and can be interpreted in a number of ways, but the central theme is of survival against the odds. The film was created by AMV BBDO with Somesuch Productions and cost £180,000 to make. PR support is being done by the charity’s in-house team. Dementia is the leading cause of death in the UK and is most commonly caused by Alzheimer’s disease. The campaign aims to destroy the myths surrounding dementia, that it’s just a part of ageing and nothing can be done. Its key messages include informing people that Alzheimer’s is a disease, that diseases can be cured, and research can lead to breakthroughs - with cancer and HIV/AIDS just two examples of this. Tim Parry, director of communications, Alzheimer’s Research UK, said: "This campaign is unlike anything we’ve done before, with some surprising and thought-provoking imagery. But when faced with an enduring sense of fatalism from the public around dementia – that nothing can be done – we have to present the issue and the argument in a new way." He added: "We have set out to be bold, to capture attention and inspire new audiences to believe, like we do, that research can make life-changing breakthroughs possible in dementia." Today was chosen as the launch to capitalise on the general awareness of the disease that will be prompted by World Alzheimer’s Day tomorrow, and coincided with an announcement by the charity that it has set itself a target of investing £250m in dementia research by 2025. Headey has put a link to the charity’s campaign webpage on her Instagram profile, which has 1.5 million followers, and a posting she made earlier today has already generated tens of thousands of likes. Very happy to be involved with this powerful short film for @AlzheimersResearchUK – something close to my heart. Please do watch and share by heading over to their Instagram page and clicking the link in their bio and mine #MakeBreakthroughsPossible ?? And many other celebrity supporters of the charity have turned to Twitter to show their support for the campaign and promote the new film. The profile of the campaign will be raised yet further this evening, when a 90 second version of the film, directed by award-winning Director Aoife McArdle, premieres tonight in a special ITV Introduces break during Emmerdale. As well as paid-for media, the charity is promoting the film on its social media accounts on Facebook, Instagram, Twitter and LinkedIn. The initial paid-for run of the campaign will end on 10 October, although owned-channel organic campaign messaging will continue into October and beyond. The campaign will be evaluated by analysing bespoke sentiment metrics in partnership with YouGov, as well as the overall reach and awareness of the charity. Other metrics used to evaluate the campaign will include shares, visits to the campaign website, email sign-up and use of the #MakeBreakthroughsPossible hashtag.